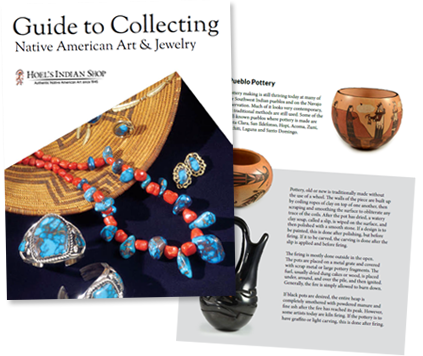 Earl Plummer jewelry award-winning Navajo designs, of the Salt Clan and Edge of the Water Clan, are known for drawing inspiration from nature into his work in animal and floral motifs, flowing lines, and stunning colors. He favors silver and gold, and uses natural turquoise, spiny oyster shell, coral, lapis, sugilite, black jade, tiger’s eye, picture jasper, malachite, and other natural precious and semi-precious stones in his pieces. 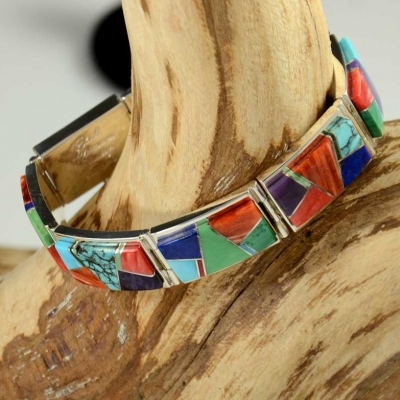 Today, Navajo artist Earl Plummer jewelry designs show why he’s a master of cobble, mosaic, and channel inlay work. 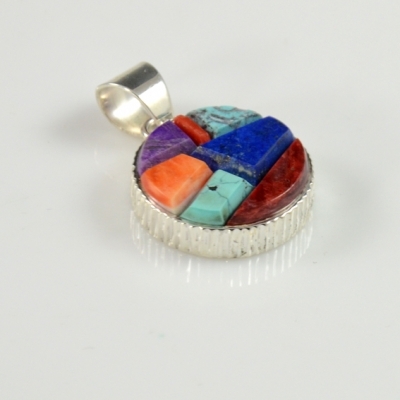 He began to make jewelry at fourteen after watching and learning from family members, starting with simple stamp work and progressing to the fine sculpted inlay work he does today. 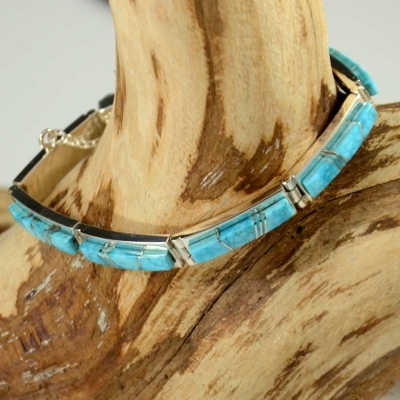 Earl was named the 2011 IACA Artist of the Year at the Spring Market held in Santa Fe, New Mexico, and won Best in Jewelry at the Santa Fe Indian Market in 2013. He has also won other awards at the Gallup Intertribal Ceremonial, the Santa Fe Indian Market, and the Heard Museum Guild Indian Fair and Market. His work has also been featured in galleries throughout the United States, such as the Home and Away Gallery, Wright’s Indian Art Gallery, Nanibah Gallery, the Indian Craft Shop, Danny’s Jewelry, Arches Trading Post, and, of course, Hoel’s Indian Shop. Earl lives in Thoreau, New Mexico, with his wife Jennifer and four children. He’s been known to donate liberally his time for elders, helping around the homestead, shearing sheep, or anything else that’s needed.